Oriental Orthodox Churches: Who is the original Eritrean Orthodox Patriarch? 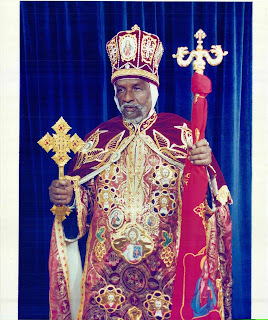 Who is the original Eritrean Orthodox Patriarch? 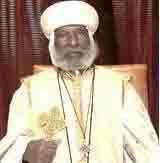 Abune Dioscoros is the current Patriarch of he Eritrean Orthodox Church. He was appointed in April 2007 with the approval of the Synod. But the Church has been under crises since 2005. The root cause of the problem is the Government of Eritrea’s invasion of the church. Currently, the official and canonically recognized leader of the church, 3rd patriarch Abune Antonious, is under house arrest. The government installed a new one Abune Dioscoros. The Eritrean Orthodox Church, Diocese of North America opposes strongly the government’s intrusion and mobilizes the people to restore administrative independence and spiritual renaissance of the apostolic church. The majority of the Eritrean people who live abroad (as people inside the country are too scary for their lives), the Catholic Church and many other churches, accept the 3rd Patriarch Abune Anotious as the legal and only patriarch of the church. Abune Dioscoros is the real Patriarch. who was selected by Synod. Deposition without legitimate cause is simply rebellion. The Holy Synod cannot just depose the Patriarch on a whim. With due respect the church cannot have two heads (Patriarchs) One is legal and the other is illegal or unlawful. So, the cannon of the church are clear on this matter and by the testimony of all the heads of the oriental churches Abune Antonios is the legal patriarch. But as we know with the political support of the Gov of Eritrea the legal one is in the house arrest and the illegal one is administrating. God will judge the Gov. for persecuting the innocent patriarch.